Wyatt Plumbing & Heating in Saskatoon provides a wide variety of services to meet the needs of businesses and homes in the area. From new building installation to extensive repairs and maintenance services, no job is too big or too small. 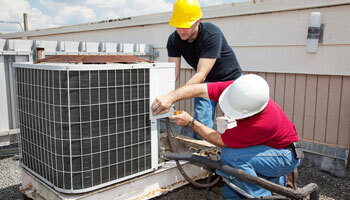 Our Saskatoon HVAC experts offer commercial heating services for businesses of all sizes. We will provide consistent, reliable control of the temperature throughout your building, whether you have a small retail suite or a large industrial warehouse. We install, maintain, and repair furnaces and ventilation systems from any manufacturer. We install gas systems, including burners, boilers, and heat exchangers. We can complete any type of repair, from major emergencies to minor fixes. If your furnace is taking a long time to reach the set thermostat temperature, not heating your space at all, or something just isn’t quite right, Wyatt Plumbing & Heating has the tools and experience solve the problem. We also provide maintenance services, including filter cleaning or replacement, inspection of furnace components, implementing energy-saving upgrades, and any other service your furnace requires. 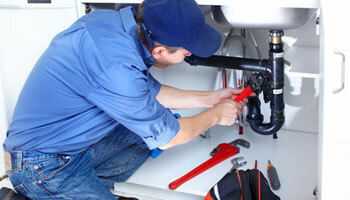 Our plumbers have the equipment and experience to handle any commercial plumbing need. We know that commercial bathrooms undergo frequent use, which can quickly wear out fixtures and pipes. Our Saskatoon commercial plumbers provide installation, repair, and maintenance services for public bathrooms, industrial sinks, floor drains, and any other plumbing need in every industry. If you’re experiencing a plumbing system issue, Wyatt Plumbing & Heating can diagnose the problem and immediately follow with the repairs you need. We also upgrade or replace any plumbing fixture, provide system maintenance and cleaning, and accommodate plumbing emergencies. From clogs to leaks, washers to pipes, we can handle any plumbing need you have. 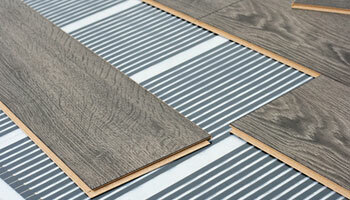 Floor heating is becoming more and more popular among businesses and homes. In-floor heating systems create an even temperature within a room and from room to room, all without disturbing dust, which reduces allergic reactions. This type of heating system also reduces noise levels and increases the moisture in the air, leading to better indoor air quality. Wyatt Plumbing & Heating installs and repairs in-floor heating systems in Saskatoon. We can also make any type of repair to existing in-floor systems, or transfer a building’s heating system to in-floor heating. 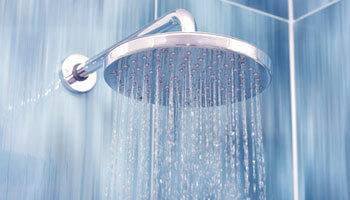 Wyatt Plumbing & Heating also installs boilers in any commercial or residential space. Our experienced team will recommend the most cost effective boiler system for the size, type, and industry of your building. 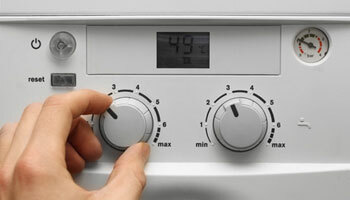 We’ll also let you know if it you should repair or replace your boiler if it’s not working properly. For residential boilers, we’ll work with you to determine which boiler is the best choice for a new installation. If your boiler is emitting a burning odor, you feel uneven temperatures throughout the building, or you see an unexpected increase in your energy bills, you boiler needs to be repaired. Our technicians complete all types of repairs for a straightforward, affordable rate. Don’t sweat through another summer. 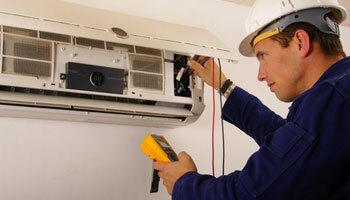 Wyatt Plumbing & Heating provides air conditioning installation and repair in Saskatoon. 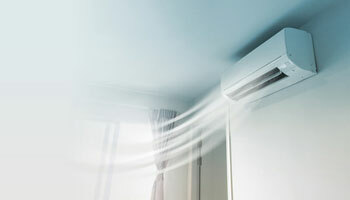 We install air conditioning units in new buildings, replace units in existing homes and commercial buildings, and provide all types of repair services. If your air conditioning isn’t cooling properly or won’t turn on at all, we can quickly diagnose the problem and get the unit up and running again. We also make simple repairs such as wire replacements or coolant refills, and major repairs such as replacing the blower motor or compressor. We’ll ensure your space is cool and comfortable for an affordable cost, ensuring lower upcoming energy bills as well. Our Saskatoon plumbers also provide water filtration and treatment solutions. If you have hard water, we have water softener units available to accommodate buildings and homes of any size. We also install and repair whole-house water filtration systems, reverse osmosis filters, fixture specific water filters, and water heaters. If there is a water contamination problem that affects your water supply, our technicians will detect the source of the problem, test the water, and apply the necessary solutions; testing the water a second time before the job’s completion. Whatever your water problem, Wyatt Plumbing & Heating will ensure you have clean, ample water at the right temperature whenever you need it. Every commercial building and home has a unique layout, which requires a unique ventilation system to provide optimal air quality and temperature control. We specialize in ventilation design and installation, creating a blueprint and project completion plan for your building. We can install ventilation systems made to operate with heat, in any building from a small three bedroom home to a multi-thousand square foot facility.